Originally we planned to meet my parents for Labor Day weekend, but when they decided to push their trip to next spring, we found ourselves with an open three-day weekend. 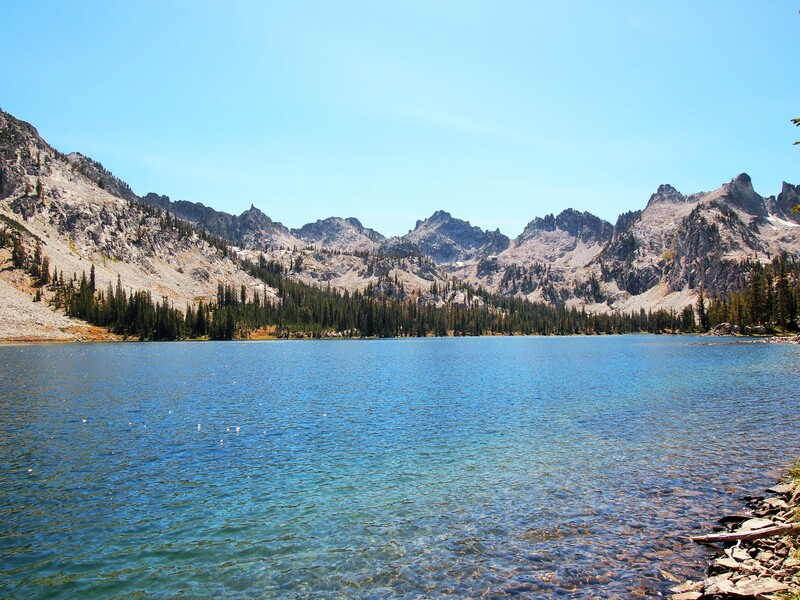 It’s still a little warm to go south, so we opted to make one last trek north to the Sawtooth Mountains in central Idaho. 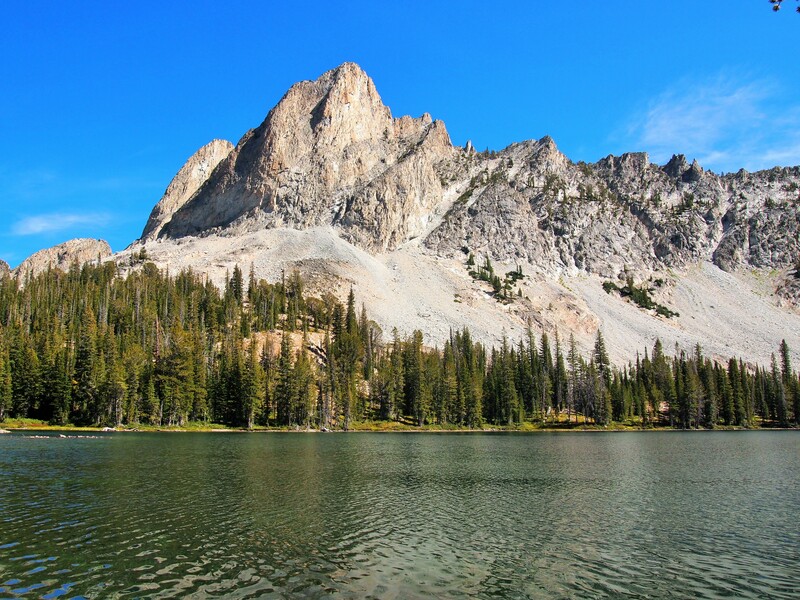 As I mentioned earlier in the summer, it’s Zach’s goal to make an annual trip to the Sawtooths. This year we got a bonus with this extra long weekend. We wanted to leave earlier on Friday, but now that Zach is back in school, we can’t leave until 4:30pm at the earliest. It’s not usually so crucial, but Labor Day is a big holiday weekend. I left work early and prepped as much as I could before Zach got home, but we still didn’t leave until 4:45pm, and then we were greeted with a good deal of traffic on I-15. It took us a long time to get out of Utah. Time and luck were not on our side this time. 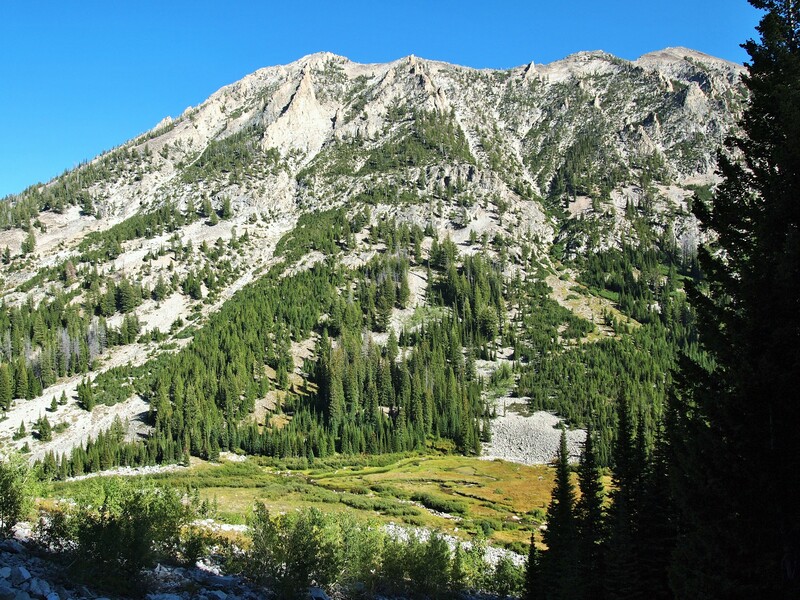 We crested the Galena Summit around 11:15pm and gazed down into the Sawtooth Valley with little doubt that any of the campsites we’d wanted would be available even though they were all first-come, first-served. 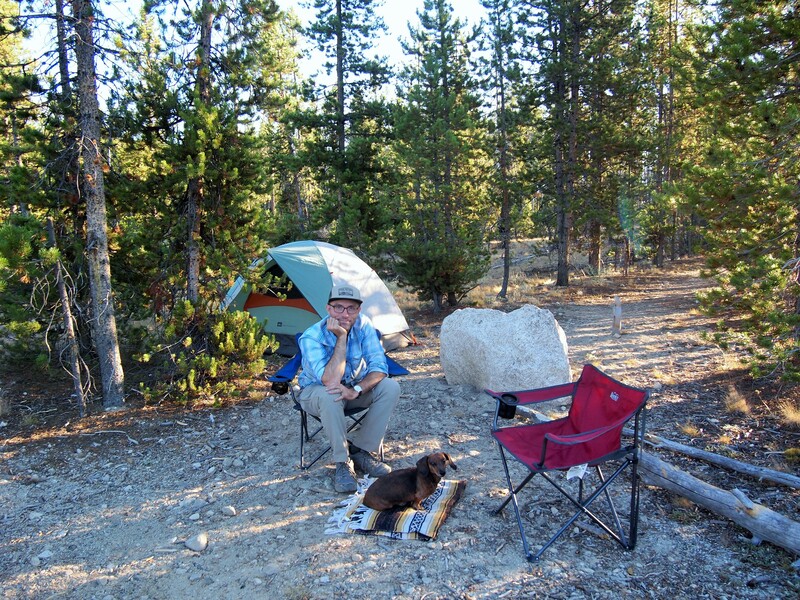 Zach wanted to camp at Pettit Lake, a small 9-site campground, but he had back-up campgrounds near Alturas Lake in mind too. We made the rounds, but every last site was occupied. It was midnight, and we were desperately tired. 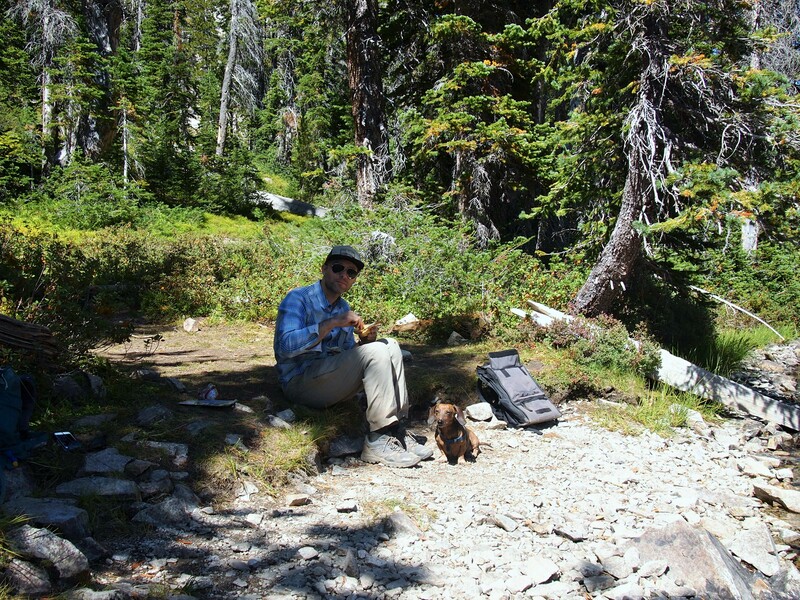 We resolved to find a dispersed site, but weren’t willing to continue driving around in the dark to find a great one, so we took the first one we came upon off a short forest service road. We set up our tent and collapsed inside; it was 32 degrees out and the sky was littered with glittering stars. The next morning we woke up refreshed and ready to tackle the day’s agenda: a long day hike to Alice Lake. We got a late start on the trail just before 11am, but in the end didn’t suffer for it. We did have to park in the overflow parking area next to the horse corrals which added an extra half mile (each way) to our hike bringing our grand total to 12.6 miles RT. 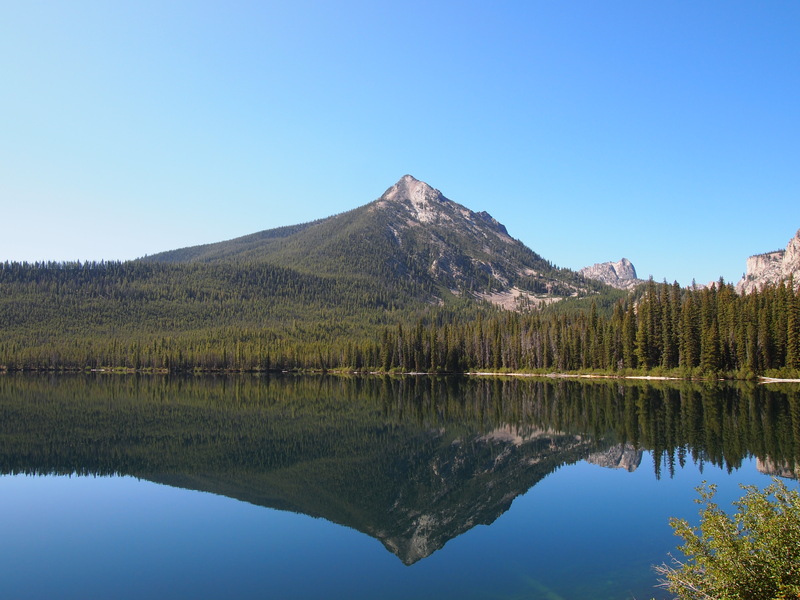 The first 1.7 miles took us for a pretty jaunt alongside Pettit Lake to the boundary of the Sawtooth Wilderness. 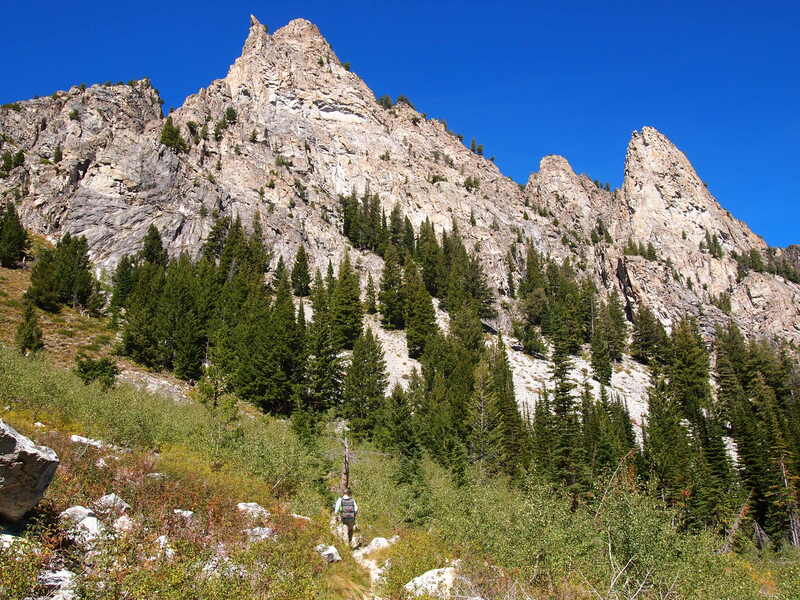 From the wilderness boundary, the trail remained fairly level and shaded making it easy and enjoyable for Truman. He wasn’t fond of any of the creek crossings along the trail, but took every possible opportunity to drink the cool clear water. After the second crossing, the trail began to climb and soon left us exposed to the afternoon sun. 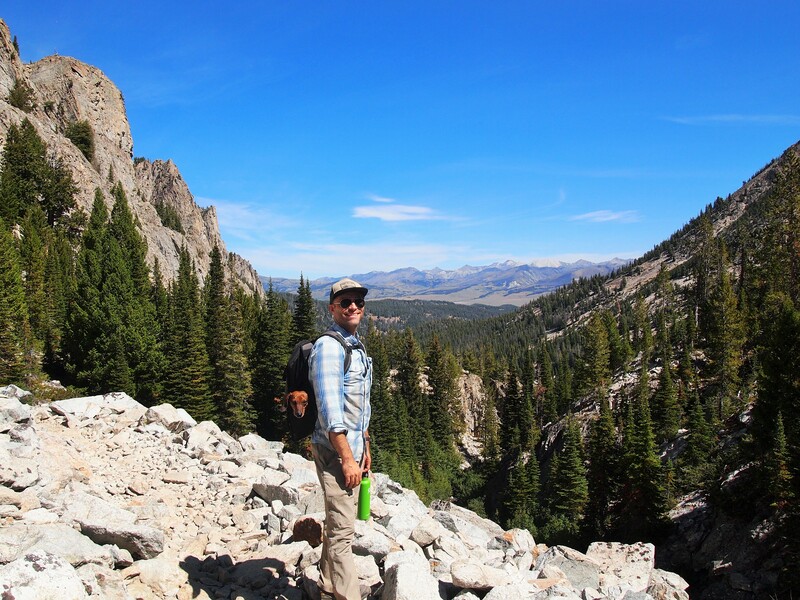 Even though Truman hadn’t slowed, we decided to carry him for the portion of the trail which traversed several boulder fields and gained a significant amount of elevation. He took advantage of the rest, but was eager to get back out on the trail after a mile. We knew this would be a long hike for him and were curious to see how far he would go. I thought he could do 3-4 miles, while Zach thought he could do 5. 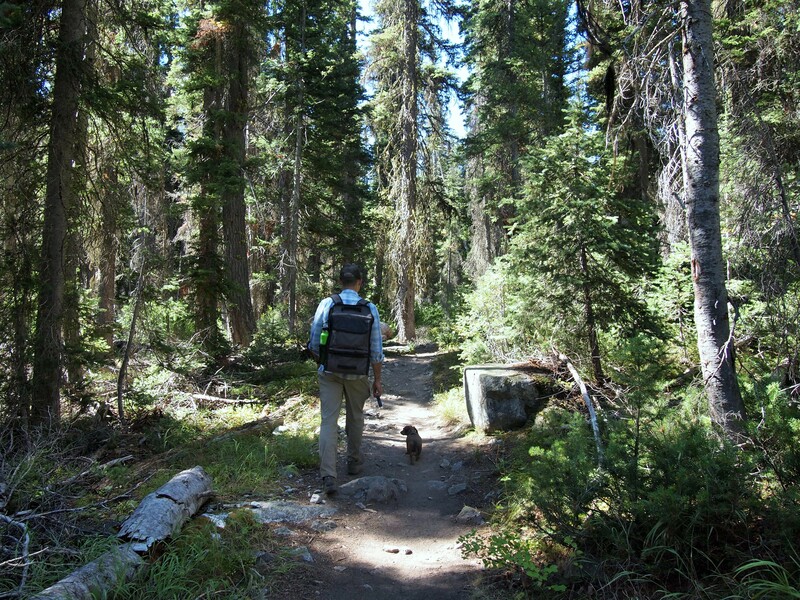 He surpassed both of our expectations completing 5.3 of the 6.3 mile trek to Alice Lake! Of course we also had to suffer through endless “short legs” comments from fellow hikers, but even still he impressed a lot of people that day. 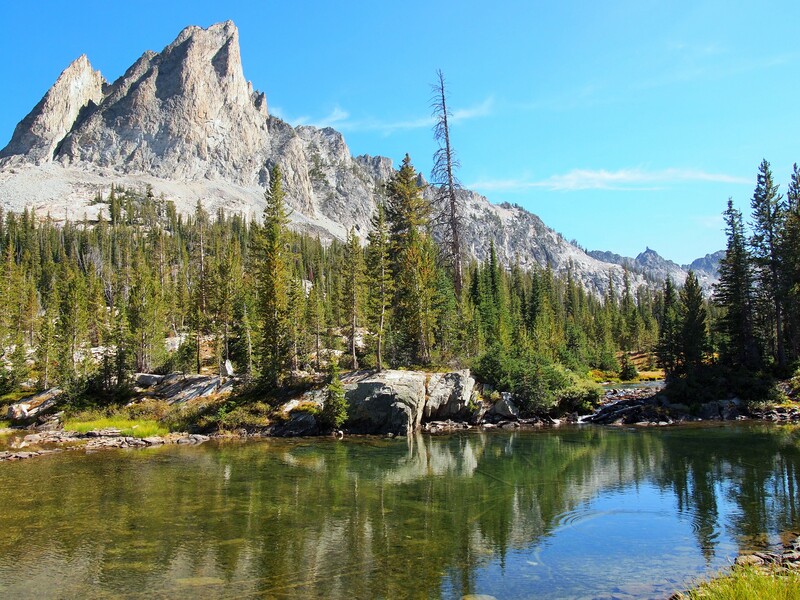 Just before we reached Alice Lake there were a couple of smaller ponds which provided a beautiful foreground for El Capitan, a peak which rises above Alice Lake. We knew we were almost there! 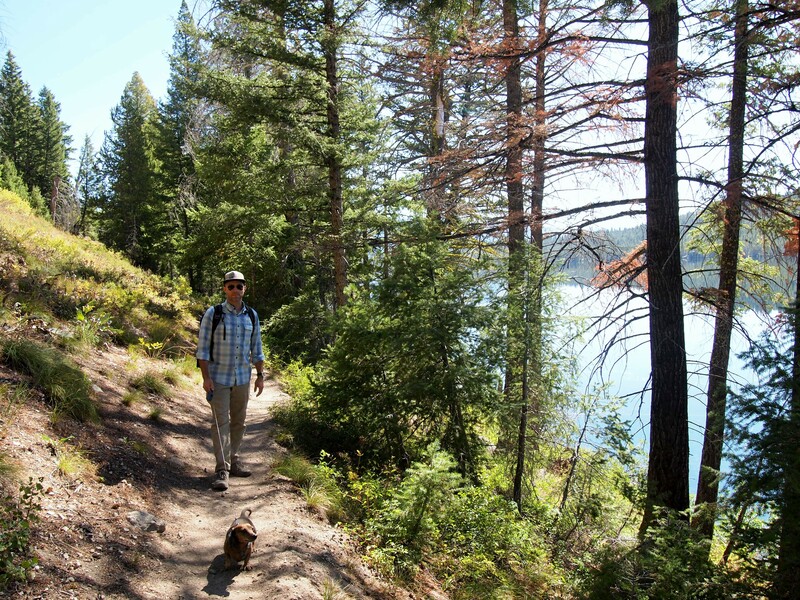 When we reached the lake we diverted off the trail to a small shaded hollow which provided the perfect view of El Capitan and gave us a nice area to stretch out lakeside. 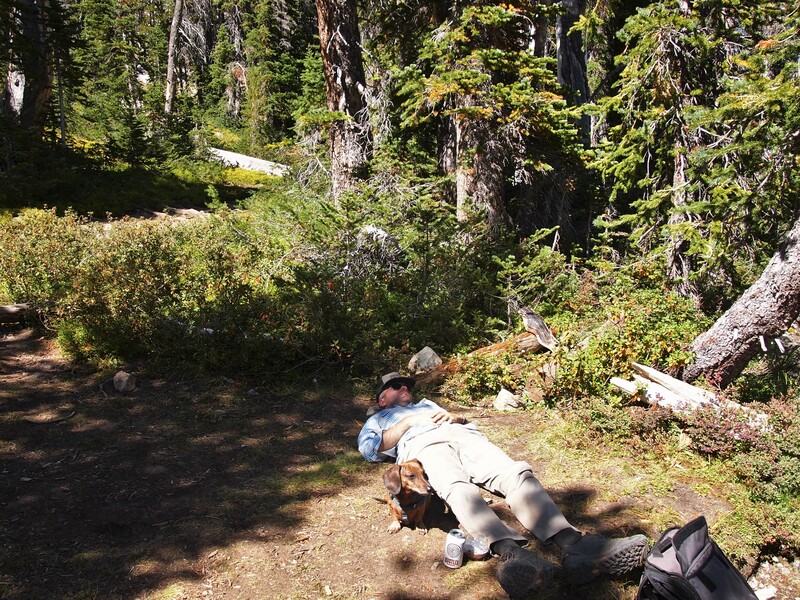 We ate our lunches, drank a Payette beer, and relaxed for an hour before we decided to head back down. Alice Lake was breathtaking, and it was definitely worth the 6+ mile hike. 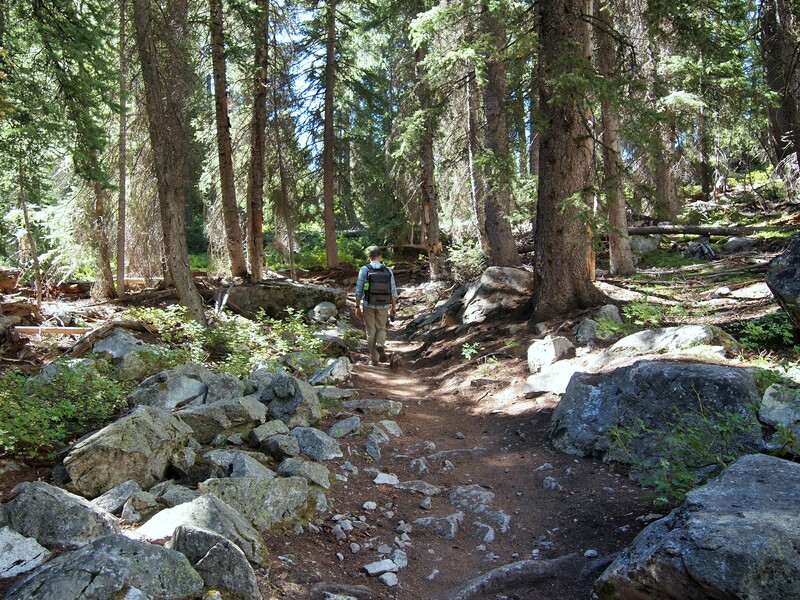 We didn’t explore more of the shoreline, but the trail continues to follow Alice Lake for a while before diverting to the Twin Lakes. 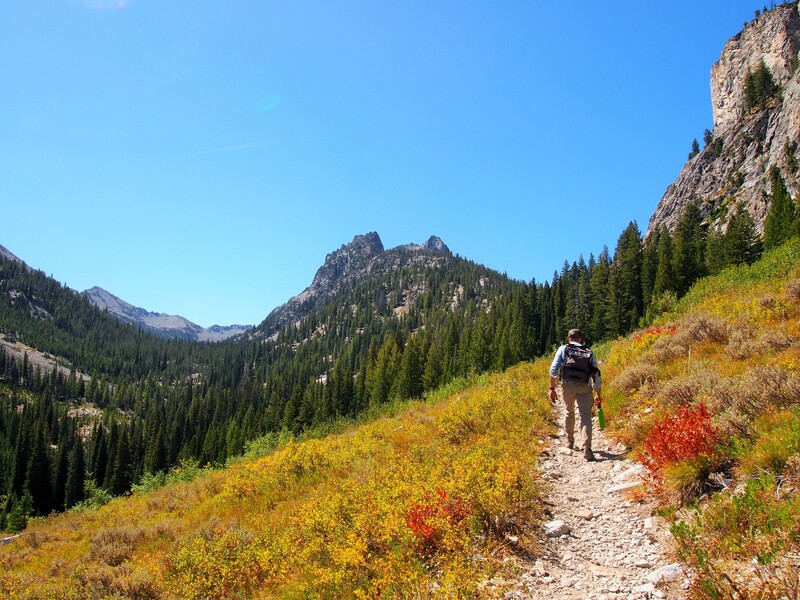 The Tin Cup Trailhead is popular for backpackers doing the Alice-Toxaway Lakes Loop, an 18 mile journey past several beautiful alpine lakes. It was a particularly popular weekend for this trek, and we passed A LOT of backpackers on our way up and back down. It’s definitely something we’ll keep in mind for another time – without Truman and not on a holiday weekend. The hike down was fairly uneventful. Truman went THREE additional miles bringing his grand total to 8+ miles! At every water crossing he tried at all costs to stay on the stones and out of the water which made for a ridiculous sight. On our second-to-last crossing he appeared to hurt his back leg, so we forced him to ride in his pack for the duration of the hike. By the end, we weren’t excited about the additional half mile to our car, but we trudged on. It was great to get back to our campsite for dinner and another beer. I wanted to stay up to star gaze, but my eyes wouldn’t permit it. We retired to the tent fairly early, just after dark, and fell asleep shortly thereafter. Beautiful photos! Love little Truman! Looks amazing! 5.3 miles, go Truman!